* Some meets will require online entry as noted. ENTRIES NOTE: When making entries at Yentiming.com, update your roster, select the meet to enter and then click on "Make Entries" on the right side to get the runners into that meet. There are options to Print and Manage (check for team entries). Sept 27 - McQuaid Invitational - Entry only through McQuaid site. This years GCC Invit course will also be used for Sectionals. Coaches need to print maps for their teams as they will not be available at the sectionals. Entries and Timing via YenTiming. Sectional Entries (10 runners) Due Sun, Oct. 28th @ 9:00pm. 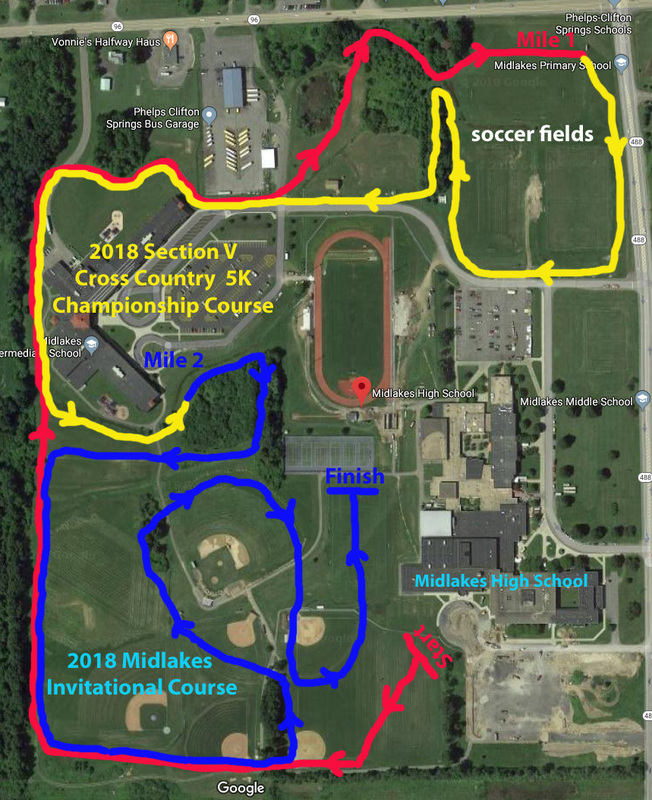 Course Map(updated 10-11-2010) This years GCC Invit course will also be used for Sectionals. Coaches need to print Maps for their teams as they will not be available at the sectionals. Sectional Entries Due Sun, Oct. 31st @ 8:00pm (Eastern Standard Time).